Despite Anglesey’s proximity to the mainland of Wales (it is connected by two bridges across a narrow stretch of water) it is very much an island. It has the indefinable but exciting atmosphere common to all islands and has many of the features which distinguish the animals and plants from those of the nearest mainland. Add to these a unique geology, an incomparable coastline and a mild maritime climate and something of the special quality of Anglesey becomes apparent. 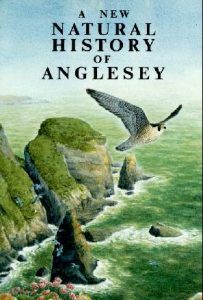 This book is a celebration of Anglesey’s natural history and also a far-from-exhaustive record of the state of things here towards the end of the twentieth century. This is a time of profound and rapid change, some measures of which may be seen if reference is made to a similar book (The Natural History of Anglesey, Vol. 2 in this series) which appeared in 1968. As in the case of the earlier volume, the authors hope that their contributions will encourage their readers to appreciate this delectable island and to seek for ways in which it may be preserved.